The ultimate goal of brand activation is to drive consumers to interact with your brand, so they eventually form a connection and loyalty to your brand. Of course, this works for events too, especially if the event you’re organizing is being held regularly. You want your attendees to get a great experience so they will attend your next event in the future. If you succeeded in building a brand for your event, then you’ll have no problem in getting loyal attendees. 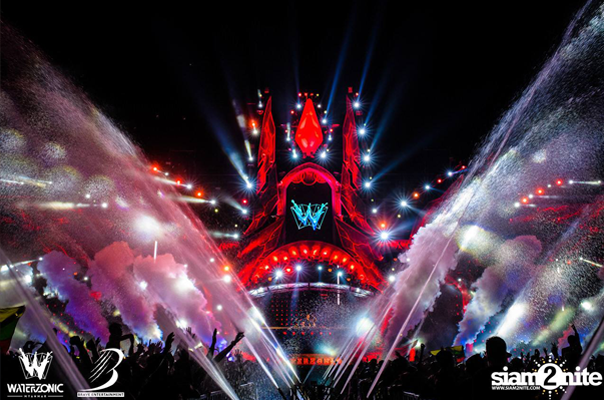 An example of an event that is recognized for bringing outstanding experience to their loyal attendees is Waterzonic Festival. An EDM and water festival held annually since 2014 in Bangkok, Thailand. The successful festival was then brought to Yangon, Myanmar in 2017 with international headliners like Knife Party, TUJAMO, MaRLO, and Zanon, as well as local acts like Roxa, Past 12, OU J, and more, totally loved by the ravers. Not only did Waterzonic Festival give the ultimate experience of dance and water festival through its amazing performers, the festival also brings a new experience to festival goers, because it was the first event in Myanmar that used cashless payment powered by PouchNATION. With attendees not having to worry about pickpockets or running out of cash to engage in exciting activities during the festival, they sure have more time to have fun and go crazy. And of course, the hip NFC Wristband is both practical and stylish, fitting well with the crowd of ravers. Giving great service and experience to attendees lead to more chances of creating successful brand activation. With a positive response from its attendees, Waterzonic Festival is more likely to attract a bigger crowd when the festival is held again in Myanmar.